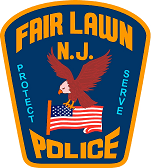 The Records Bureau is responsible for maintaining, filing, sorting and storing all records created by the Fair Lawn Police Department. This includes all Incident Reports, Accident Reports, Property and Inventory Reports and all other documentation that is required by the State and Federal Government. To request documents, please contact the Records Bureau at 201-794-5418 or 201-794-5419. Monday - Friday, 9:00am - 4:00pm, excluding holidays.